For a first-time gardener, I don’t think I’m doing all too bad. I managed to not only keep all of my plants alive (which is all I could have hoped for), but actually really healthy, too. I had some road bumps, and some close calls. There were some unwelcome, persistent pests, some over-watering, some under-watering, and some scary heat waves that my strawberries in particular did not care for. But I am incredibly proud of my little organic garden. There’s tomatoes, hot chili peppers, banana peppers, strawberries, celery, bell peppers, rosemary, chives, marigolds, basil, and blue basil. And, boy, is there blue basil. My blue basil plant seemed to shoot up from barely-there to massive overnight. The plant is huge, towering colossally over all of the other garden inhabitants. 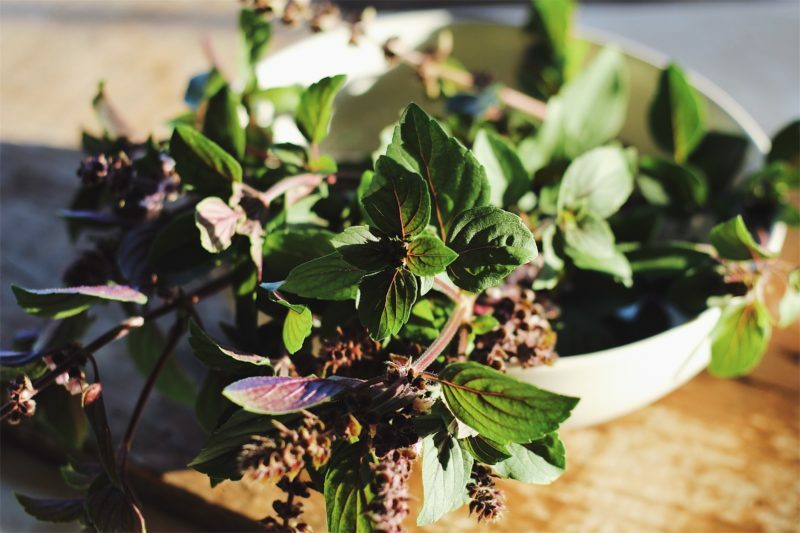 The specific variety of basil is called African Blue Basil. It’s a much taller plant, and one of the few basil varieties that is a perennial. It grows long purple stems that bloom delicate, ornamental lavender flowers. It’s a very, very pretty plant to have in the garden. It’s also very pollinator-friendly—there’s quite a number of bees that enjoy the basil plant as much as I do. 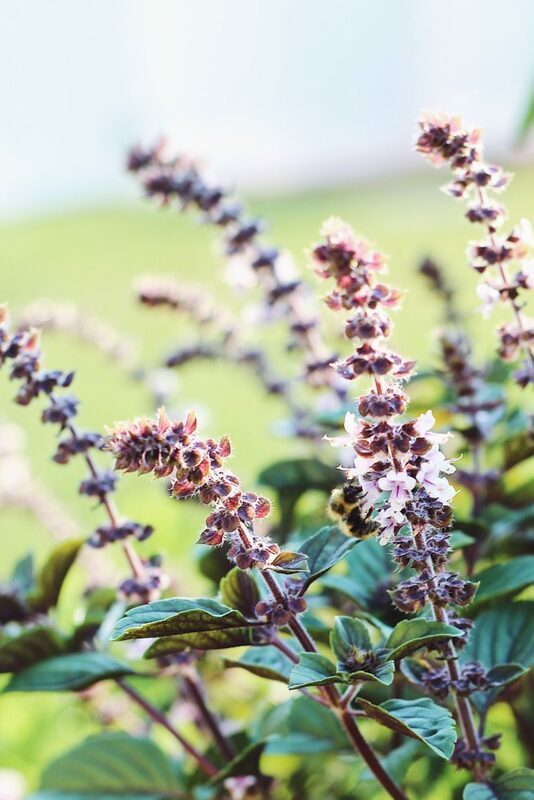 African Blue Basil has a lovely rich, earthy flavor and perfumes the whole garden with a slight camphor scent. 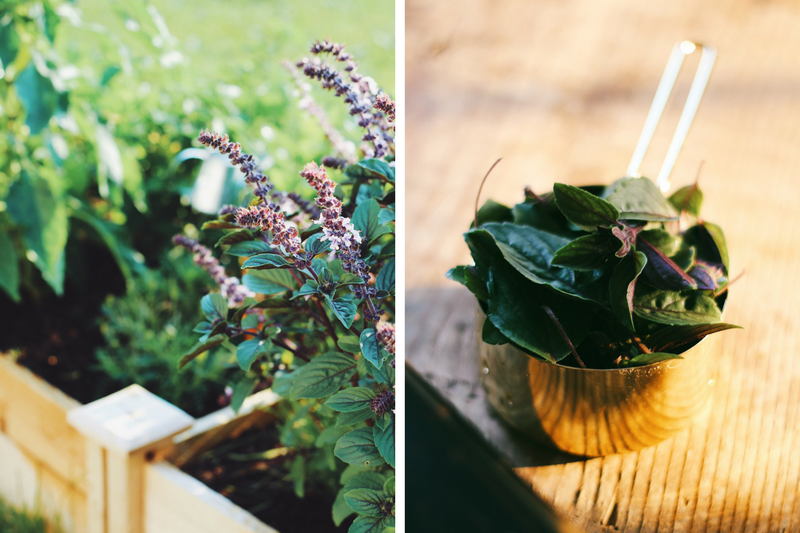 This variety of basil is sterile, so allowing the flowers to bloom won’t hinder its harvest. They make pretty, fragrant little bouquets and are completely edible, as well. I’ve run out of uses for my African Blue Basil. There’s only so much pesto I can make. But the plant is so enormous that it’s starting to shadow some of the little guys, so I do have to keep harvesting. Hence a cocktail. Specifically, a Blue Basil Whiskey Smash. 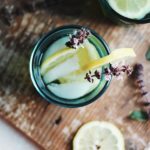 I love experimenting with savory ingredients and fresh herbs in cocktails. A Whiskey Smash is basically the whiskey version of a Mojito or Mint Julep. 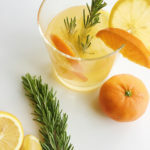 It typically combines whiskey with mint, lemon, and simple syrup. 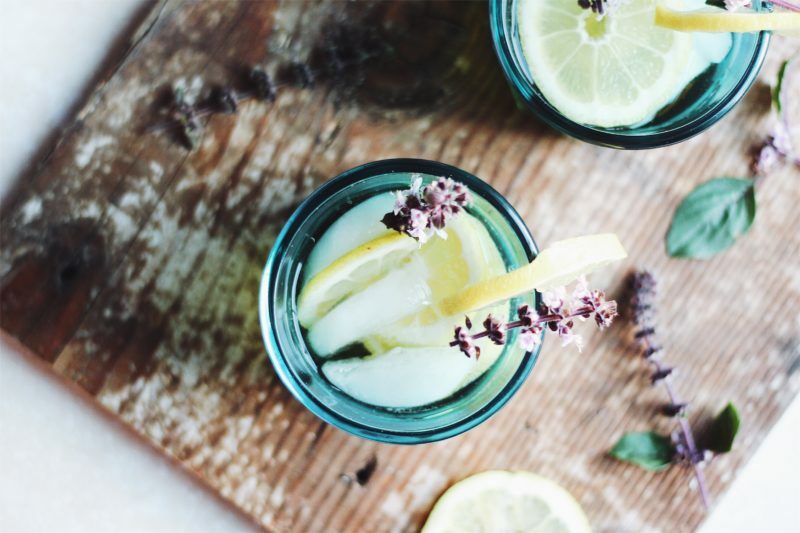 Here, I swap mint for basil and turn the blue basil into a herb and lemon zest infused syrup. 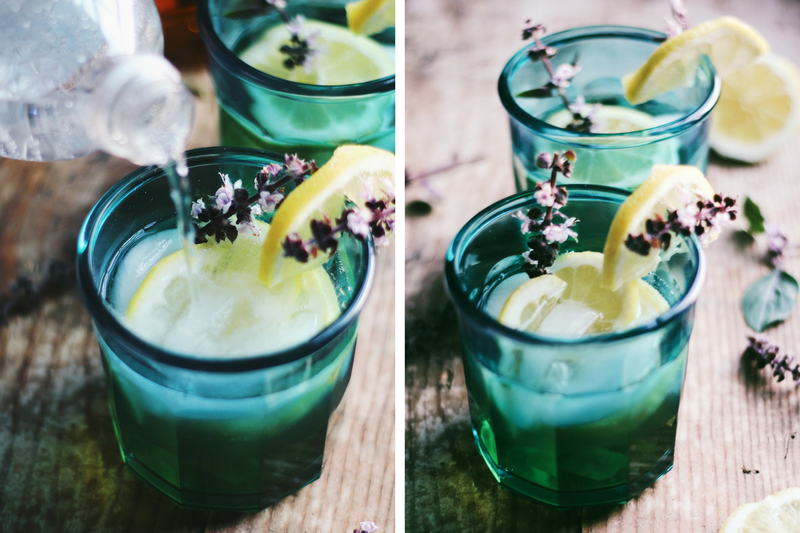 Fresh lemon, club soda, and basil flowers round off this Blue Basil Whiskey Smash for a cocktail that’s refreshing, fragrant, earthy, and slightly sweet. 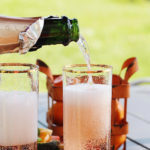 It’s the perfect end-of-summer drink. 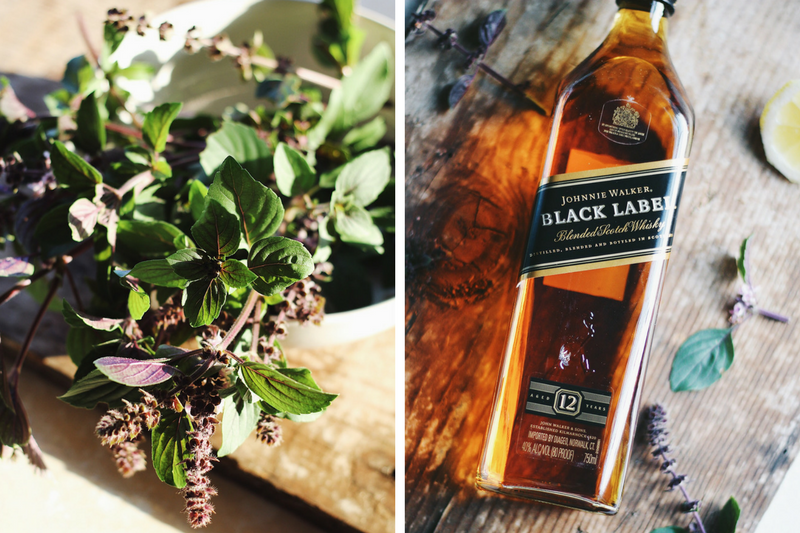 To make this basil Whiskey Smash, I chose Johnnie Walker Black Label. 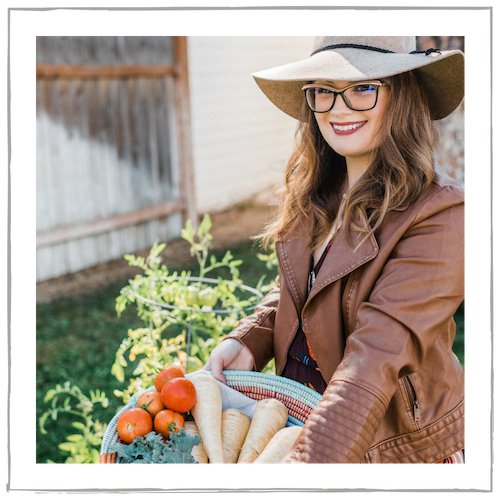 I made a visit to Whiskey5.com to find my ‘whiskey match.’ I love this website. It’s like a matchmaking service to find the whiskey of your dreams! You choose two flavor profiles out of five choices: Bold, Sweet, Spicy, Smooth, and Smoky. You can use a toggle bar to determine the intensity level of each (i.e. if you want a whiskey that is mostly smoky with a touch of sweetness). I chose Smooth and Bold to compliment the earthy, rich, and citrusy flavors of the basil cocktail, and I got Johnnie Walker Black Label. 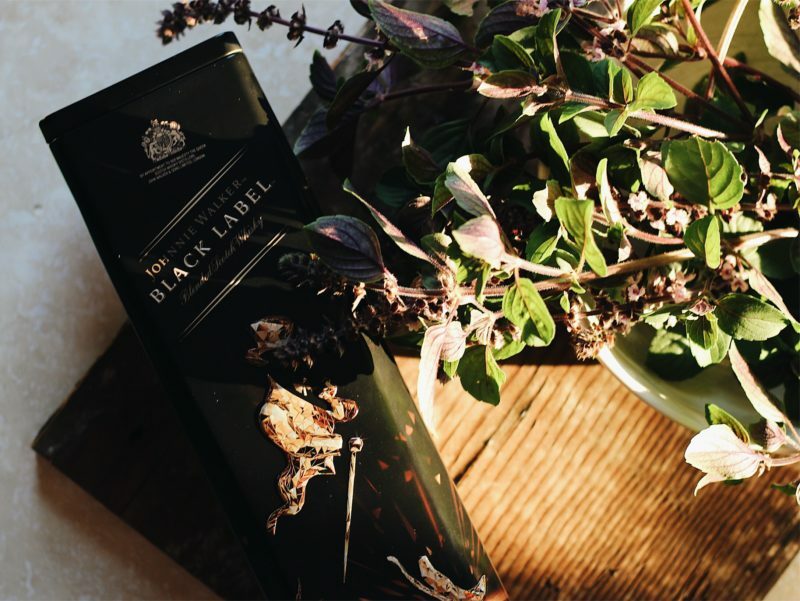 Johnnie Walker Black Label was a perfect choice for this cocktail—smooth, balanced, bold, and a touch smoky. On Whiskey5, its flavor profile is described as Bold and reads “Explore the deeper flavors achieved by generous aging; a remarkable palate with a mix of oak, dark fruits, charred smokiness, and long rich finish.” Sounds just perfect, doesn’t it? Whiskey5 hit the nail on the head with this recommendation. Johnnie Walker Black Label is aged a minimum of 12 years in Scotland and conveys a complex, but balanced profile. It imparts tasting notes of sweet vanilla, orange zest, spice, and raisin. 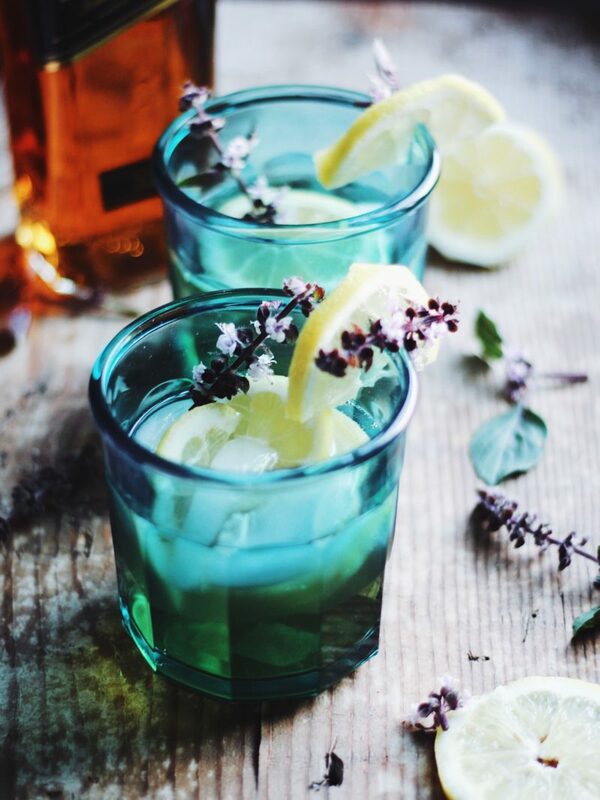 It’s the perfect whiskey to sip on its own or use in a simple, but delicious cocktail such as this Blue Basil Whiskey Smash. 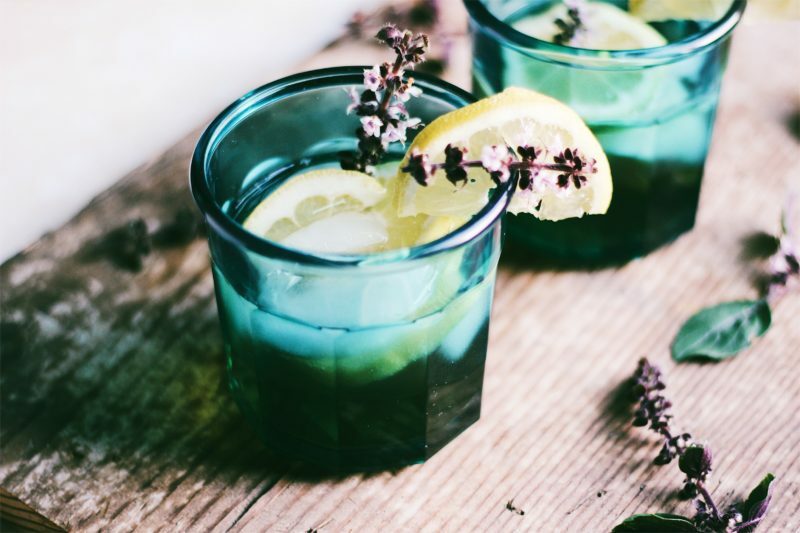 This smooth, balanced, and delicious Blue Basil Whiskey Smash cocktail is the perfect end-of-summer drink. 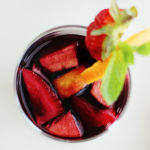 Make the Basil Syrup: In a small saucepan, combine the water and sugar and stir. Measure out 1 packed cup of washed, torn basil leaves. Peel the zest of one lemon with a vegetable peeler or zester into long strips. Add the basil and lemon peel to the syrup and heat on medium-low until simmering. Let the syrup simmer 1 minute and remove from heat. Allow the syrup to completely cool to room temperature, strain through a fine mesh strainer, and refrigerate. 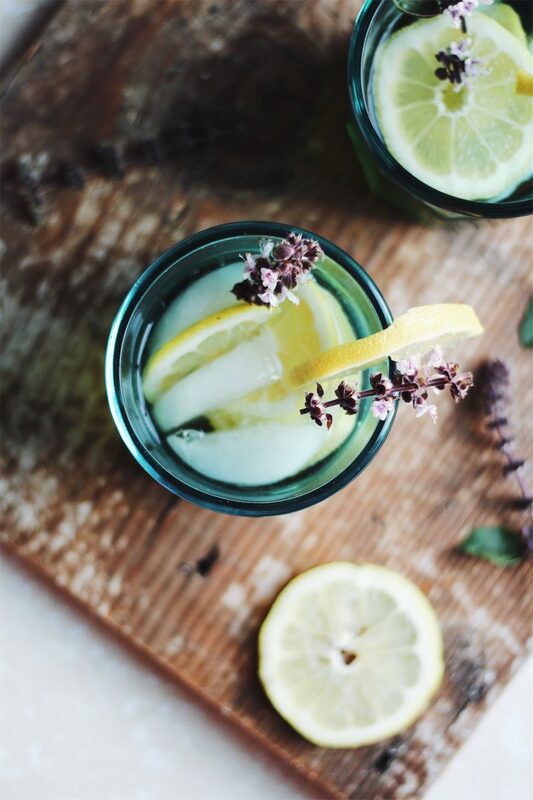 Make the Cocktail: In a cocktail shaker, combine the lemon slices and basil leaves. Muddle. Add ice, whiskey, and basil syrup to the shaker and shake well to combine. Pour the cocktail over crushed ice and top with a splash of club soda. 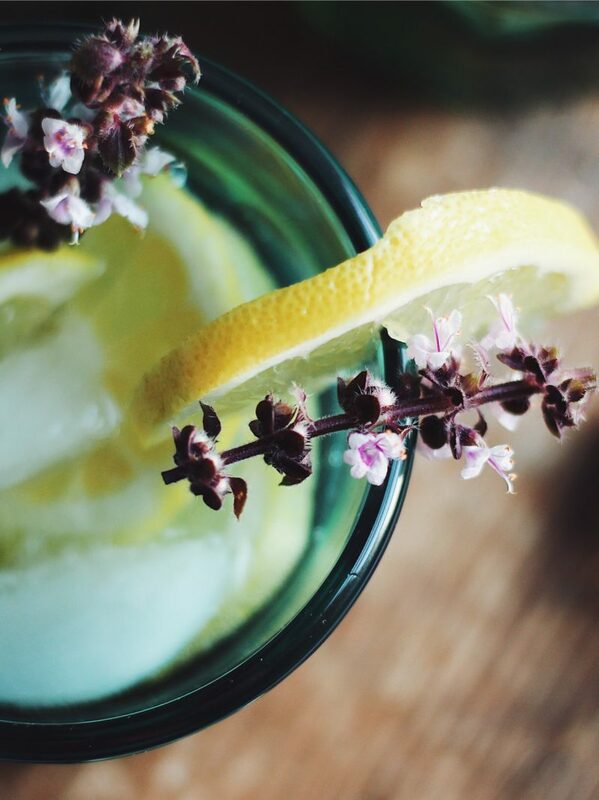 Garnish with additional basil, basil flowers, and lemon. Enjoy! 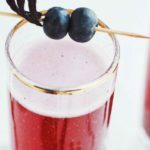 I hope that you make and enjoy this Blue Basil Whiskey Smash! Find your perfect match at a retailer near you. Be on the lookout for the display below. How long can u keep the syrup before it goes bad? Hi Julia, it will last in the fridge quite a while. I’d say about a month. 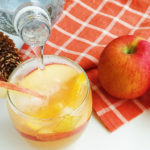 This one can make nice party drink during fall or winter. I never tried the blue basil with drink. I need to find it. Johnny Walker is the only whiskey brand that is so active socially and digitally. I always like their collabs 🙂 And my friends like it too! I just take herbs. Nice idea for using them. I will try your recipe for Blue Basil Whiskey Smash. I have never heard of blue basil before! 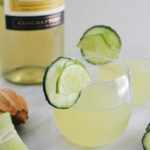 This drink looks so fabulous and elegant. 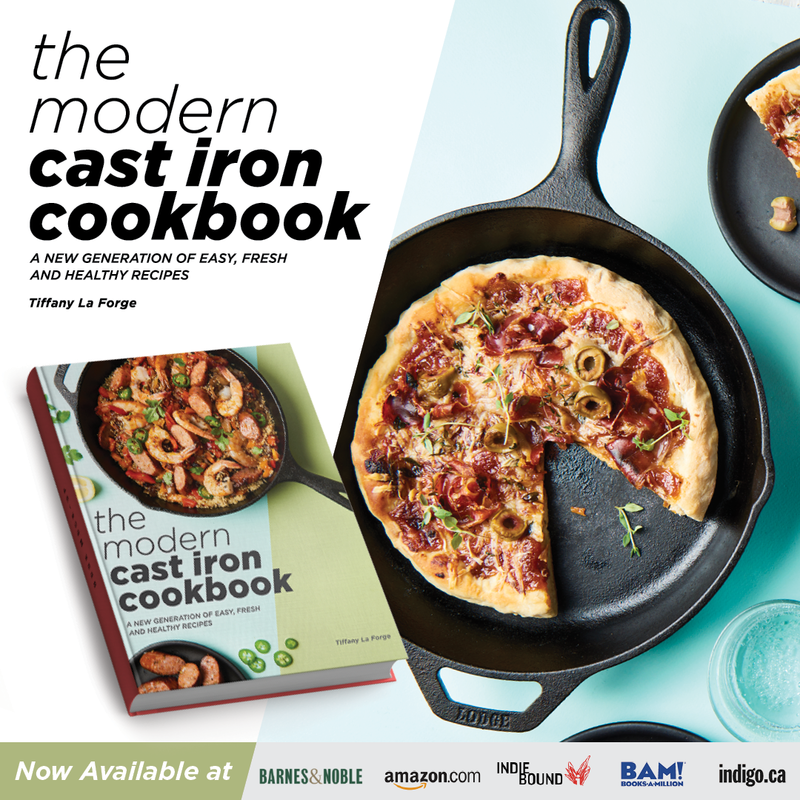 I will have to try it at our next dinner party. That is one pretty spice. I need to find this spice in the store.